I always been obsessed by sketching hairs but certainly too lazy to spend much time on it. For once I pushed my boundaries and spend time sharpening what is the weirdest hair-cut I’ve ever draw. I had a good time. 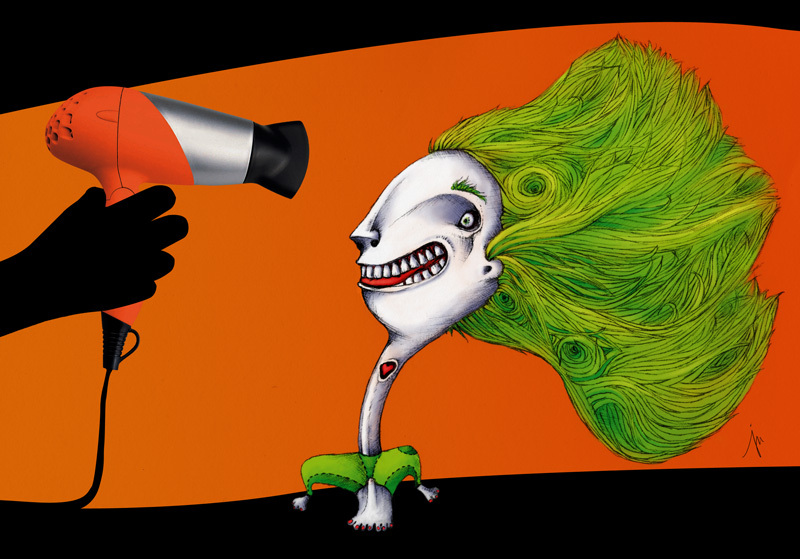 It just raised a question to myself: Is that green to use an hair-dryer? Problably not, use a bonnet.